Welcome to the Northern Territory's unhurried capital, Darwin, with its balmy nights, colourful characters and outdoor adventures. Darwin may be laid-back but it could never be described as dull. 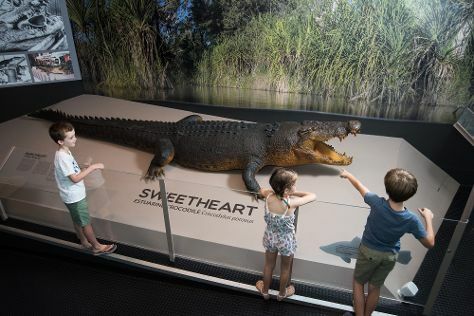 As well as markets, crocodiles and cruises, you'll find strong Aboriginal cultures here, as evidenced by the array of languages spoken in the streets, and the vibrant Aboriginal art that fills the city's galleries and museums. The city's proximity to Asia means you'll also find strong Asian influences, especially in the energetic food scene and night markets. Darwin is in Top End. With our international travel planner, Australia vacations can be built around trips to Darwin and other destinations in Australia.